I brayered the white die cut with it too ....it looks like two diff colours ? Hi Kathryn, great to meet you at the NEC. Lovely card thanks for sharing. 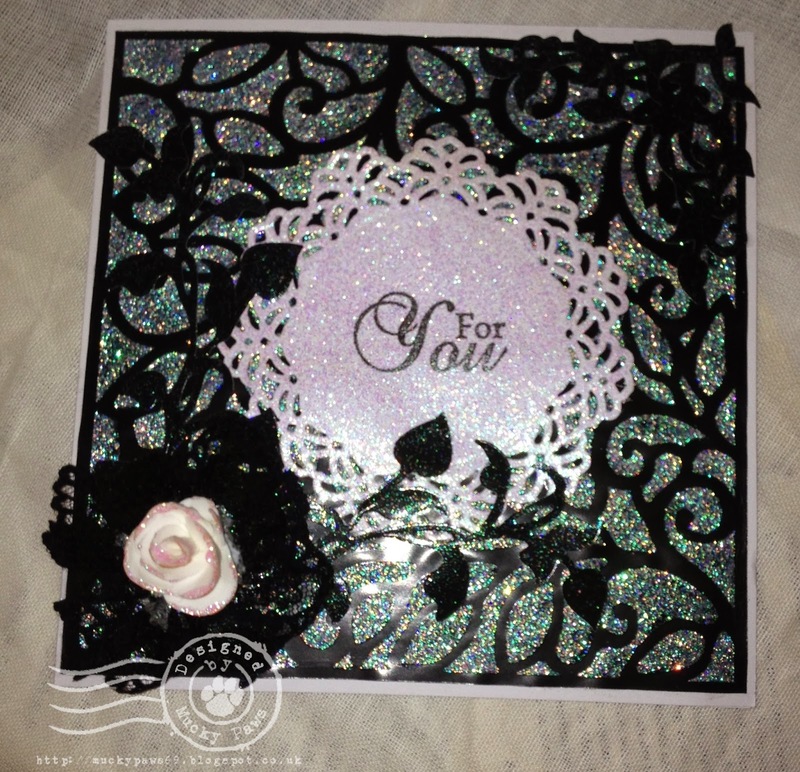 Fabulous card - really dramatic colours, love those flourishes - really love all that sparkle. WOW Kath this is stunning! 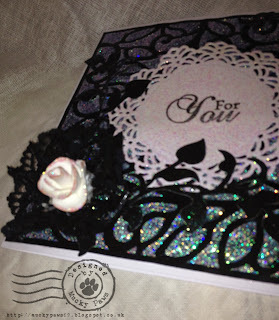 I love the gorgeous flower and lace.